However, if you just have a small job, consider our portable electric mixers that are efficient and economical! We will continue to carry a wide selection of tools to rent that will help you finish your concrete jobs quickly and efficiently! Click here to take a look at our concrete finishing tools & our concrete cutting tools! 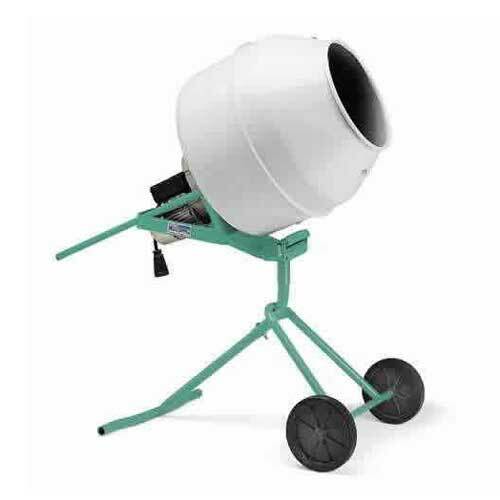 We stock a variety of Concrete Retail Items including Sand & Gravel Mix, easy to use Concrete Mix in 80# bags, Cement in 94# bags, Expansion Joint, and a wide selection of Concrete Anchors. Use the helpful Concrete Calculator to input the dimensions of your project and quickly find out a very close approx. amount of concrete that you will need to fill the area. You can convert feet and inches into yards of concrete very easily. Try out the concrete calculator today!